Accelerate your business with Norrbom Marketing! With our comprehensive competencies and network, we can guarantee a solution to whatever idea or problem you have. Let us help you develop your marketing plan – and carry it out, while you take care of the business. We can provide everything from business cards, brochures, invitations, company logos, billboards, ads etc… Challenge us! With our unique Universe Packages we offer an efficient combination of online and offline advertising. We offer cool, contemporary web design packed with fancy, user-friendly features that make your website an online success. We make professional, cool visual presentations that sell! With either or both HDR and video materials. Video content is brilliant for social media and you can benefit from our expertise. Here at Norrbom Marketing we really like making an effort. 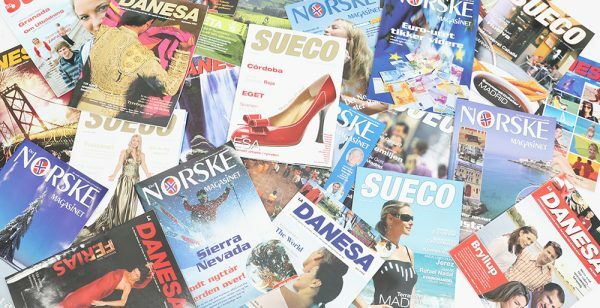 Whether we are producing La Danesa, En Sueco or Det Norske Magasinet. Our mission is to inform Danish, Swedish and Norwegians on Costa del Sol and in Scandinavia with interests in Spain, about what’s going on here. Many expats are not sufficiently fluent in Spanish to understand the news, and thus here we are.